Modern Horizons is finally giving us the supplemental set we’ve always wanted for bringing cards in Modern without having them go through Standard. With its announcement I wanted to go through a list of cards I think could potentially be added and my thoughts on how they line up. The power level on Diabolic Edict is perfect for Modern. 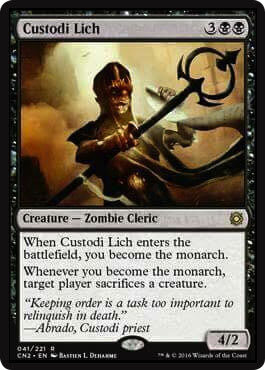 Not oppressive by any stretch and a great way for Black based control decks to make a bigger impact on the format. 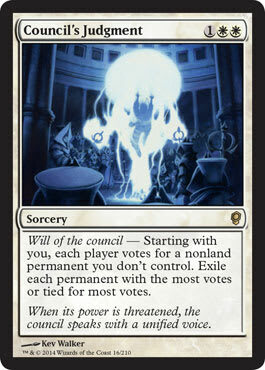 Removal in Modern can often feel too contextual or the wrong time and place, but Diabolic Edict is a solid choice that can help alleviate that issue. Graveyard decks often feel overpowered and adding a creature based hate piece means there are different answers needed to combat everything. Having more answers is never an issue and it's a great way for decks that either can't afford or don't want to play Rest in Peace to play something else. This is my pick for one of the most secretly impactful cards. 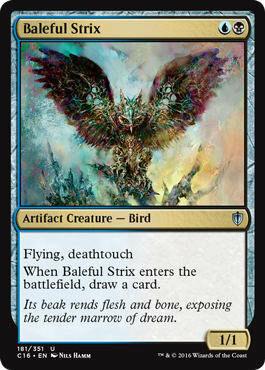 A fantastic control or midrange card, Baleful Strix offers a fantastic way for decks to survive an early onslaught and keep pace with the aggressive decks. 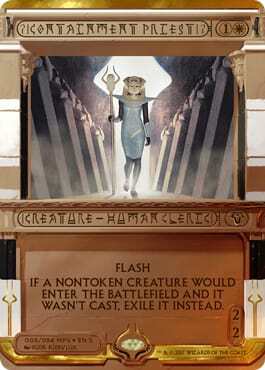 I think Strix might be a hotly contested card for Modern aficionados but I think the power level is just right. While Recruiter might seem too powerful on the surface, I think it gives a lot of room for creature decks to maneuver through the format and play some sweet hate cards in the main deck. 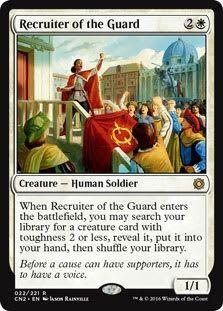 In addition, Recruiter also strengthens the weak White Taxes-style creature decks and Modern desperately needs more decks that not only interact but fight on different angles. 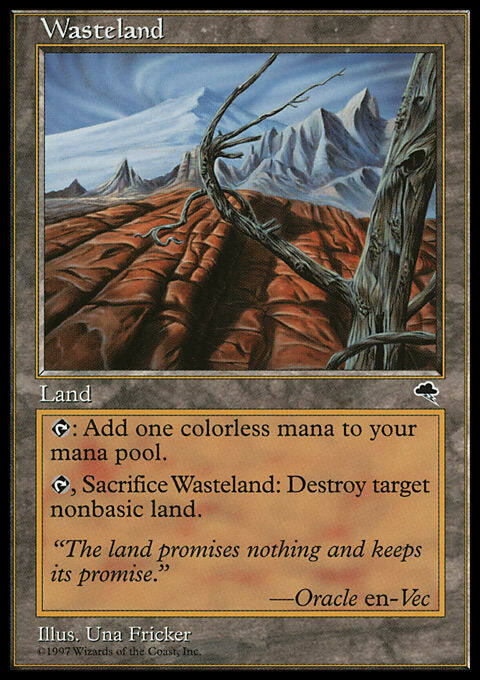 As aggressive as the format is, this Legacy staple can only be so good. 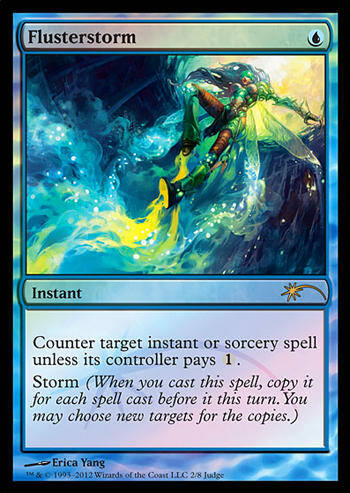 There's a major cap to this card when Lightning Bolt and Shocklands are everywhere. 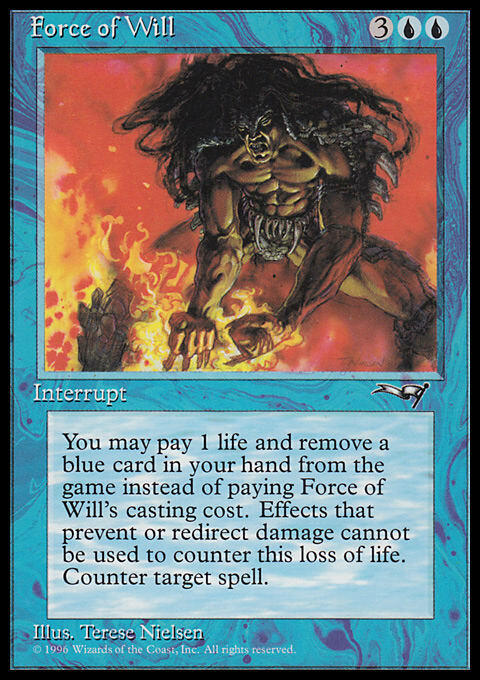 That being said, a nice cheap wrath with a major cost to it fits perfectly into Modern and I would love to have access to this card. Continuing the trend of fantastic spells, I think Judgment would be a great addition to give players more opportunities to interact. Just on the edge if being too good, I think AK is a perfect fit for Modern. There are plenty of cards that already overlap for hate and a draw spell is the kind of thing that control decks need without pushing them way over the top in terms of power level. I don't think Flusterstorm is too overpowered since Modern is heavier on mana sources and there are no decks Flusterstorm outright kills. Storm is good at playing through it and can play their own copies. Having Flusterstorm in the format is fine because it doesn't do anything that's broken or enable more broken decks. It just gives Blue a little more interaction. Let's start with Counterspell. Control has long been one of the best decks in the format and has put up stellar numbers. Giving the deck a massive upgrade from Logic Knot will make Control even stronger and more powerful. Not needing a graveyard, getting to save it for Snapcaster Mage, getting to make full use of Rest in Peace and getting to keep counterspells for cheap is going to keep Control a stock tier 1 deck. Are you kidding me with asking for this? Ditto on Wasteland. 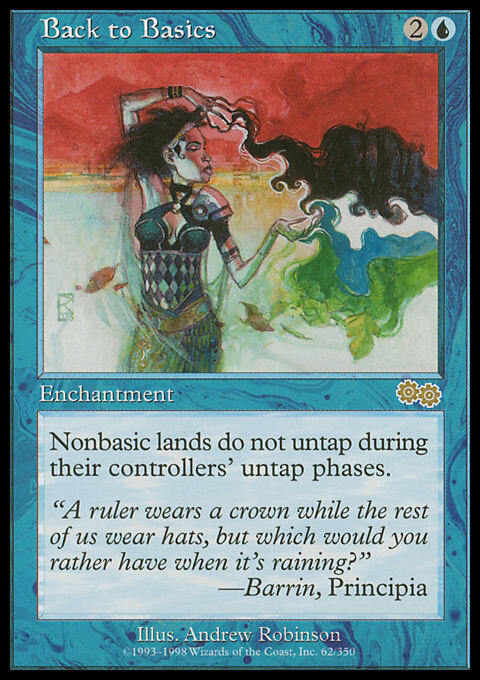 The format would speed up massively; and, while I hate Tron more than most, it's not a reasonable card to have in the format. 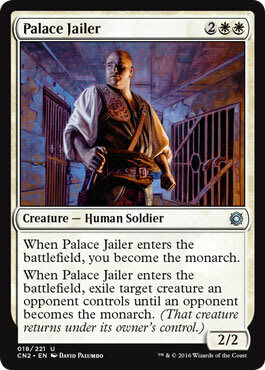 Anything with the keyword Monarch is quite busted in Modern. With Horizons we can guess that the format might slow down a bit. Monarch will induce the format to move back toward more linear and faster decks to get under the overwhelming power of Monarch. Monarch will easily dominate every game it is involved in. This card is often brought up during these kinds of discussion but it's unique ability makes this card way too strong. If there was an easy way to interact I'd be more inclined. That being said, Modern is more often than not a linear format that doesn't interact so maybe it's all right to have. Overall I think it's too powerful regardless and promotes a very linear format instead of a meaningful interactive one. 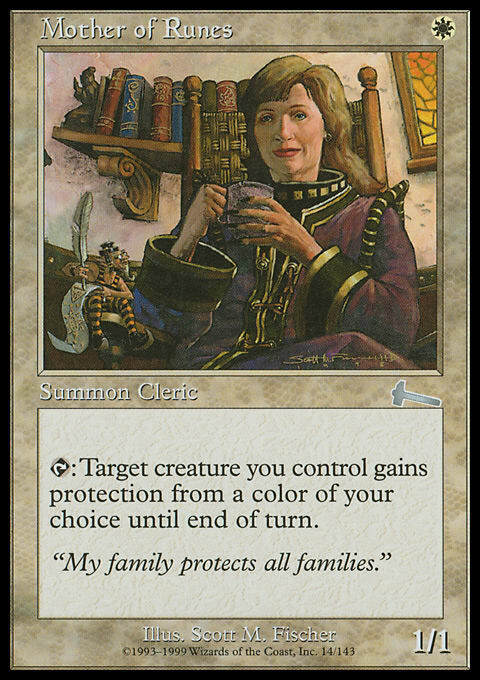 I'm of the belief that Mother of Runes will warp the format for feature decks and make Humans the best deck by a decent margin. Not only would it have fantastic game against combo, it would now be great at closing the door against creature and removal heavy matchups. I want to promote interaction and this takes away from that. While I'm clearly a fan of powering up some underpowered strategies, Symbiote pushes elves into something new and scary. 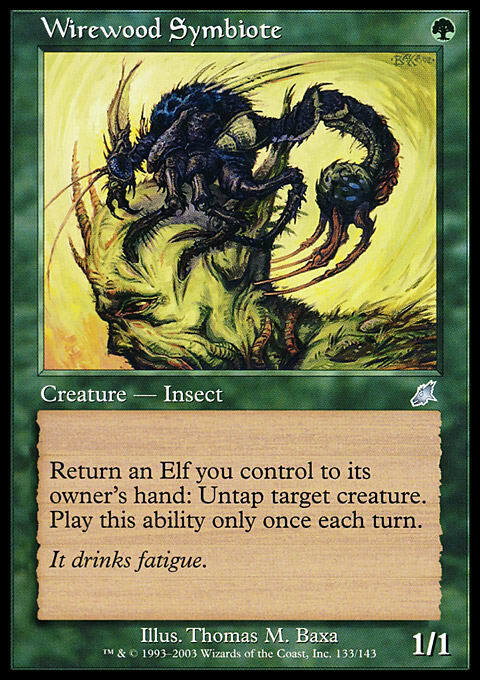 While Glimpse of Nature is banned there is Beck // Call which would make Elves a combo based deck that can grind and be absurdly consistent. 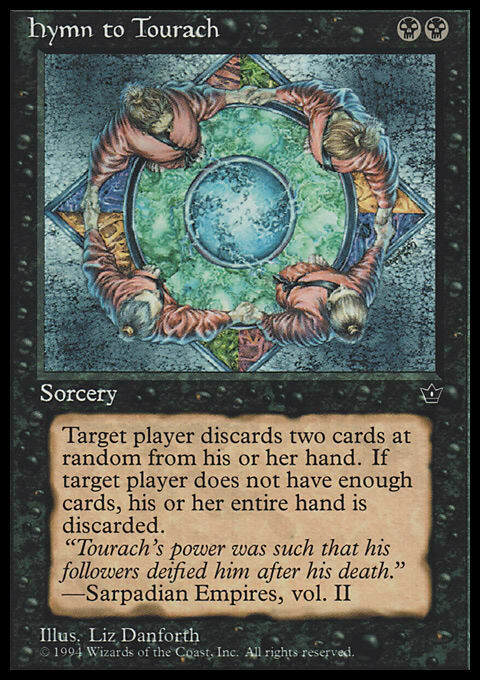 Speaking of not letting your friends be happy (sorry Ally), Hymn to Tourach is over the line for cards that should never be allowed near Modern. While pointed discard is something that is good for format health, the randomness and sheer power level of Hymn is something that will leave a sour taste in players’ mouths and just feel like one of the best things to be doing by a lot. It will push decks to be lower to the ground to be able to recover or push through effectively. 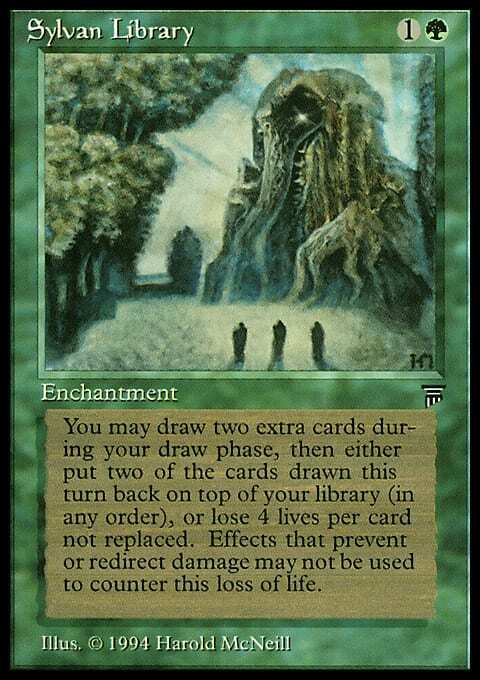 One of the most powerful cards in Legacy, Sylvan Library feels on the cusp of being too powerful. 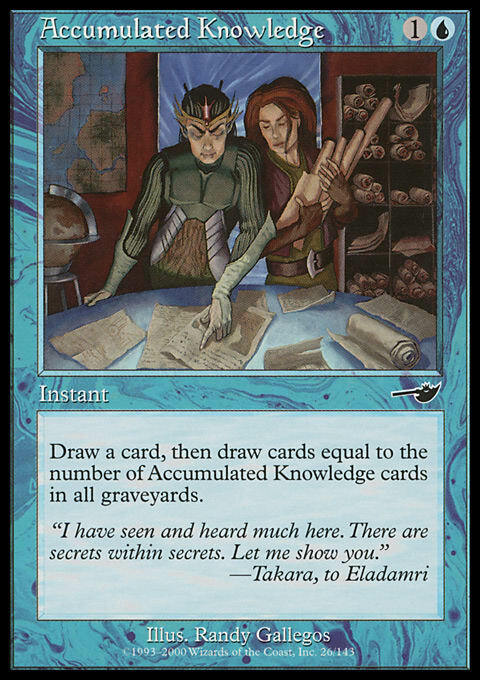 Being able to smooth out draws or bury an opponent in card advantage can be overtly powerful but the amount of linear decks and aggressive decks in the format make me feel like a Library is easily manageable. However the unique strength of the card likely makes it too strong for Modern. 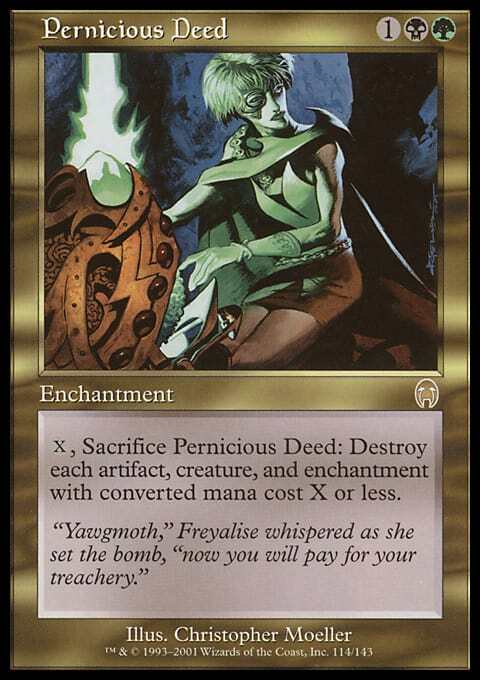 Deed is an awesome card and a wrath that costs quite a bit of mana. 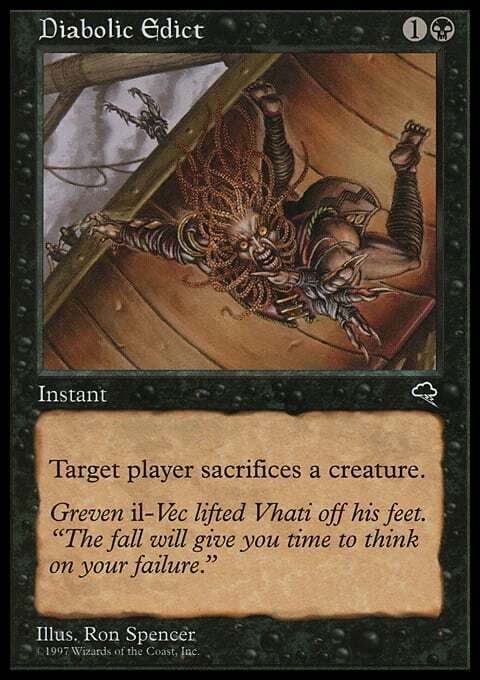 But the ability to crush everything but Planeswalkers leaves me feeling uneasy for some of the big mana decks to make use out of and the devastating effect it has could be disastrous. I am very torn on Force. 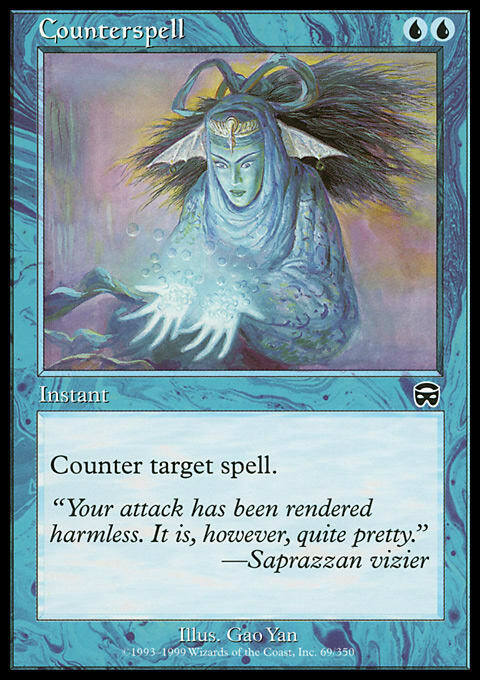 On one hand, having a high Blue count and relevant spells to interact seems tough to do with the way Modern is set up. On the other hand, Force of Will is absurdly powerful and useful in so many ways. The ways to catch up in control aren't great but I'll be worried about the stretch of new combo decks or Mono-Blue tempo decks it creates. Delver decks aren't that great, but having Force makes them miles better than before. 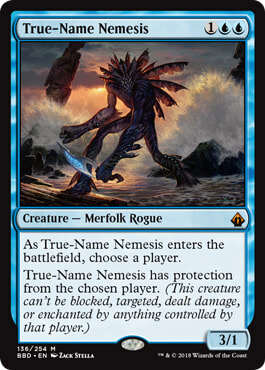 Overall I'd lean toward not putting this card in Modern but I also wouldn't mind giving it 3 months of play as well. No matter what ends up getting in, I can't wait to see the rest of the cards and shake up Modern. What cards do you want to see? Anything you think I overlooked? Let me know!